The Whore of Babylon is a figure that appears in books 17 and 18 of John’s Book, the Book of Revelation. Meant to represent the greed and idolatry ​of Rome, she is vividly associated with adultery and described as living in the lap of luxury. As an allusion to the City of Rome, she also alludes to feminism currently. 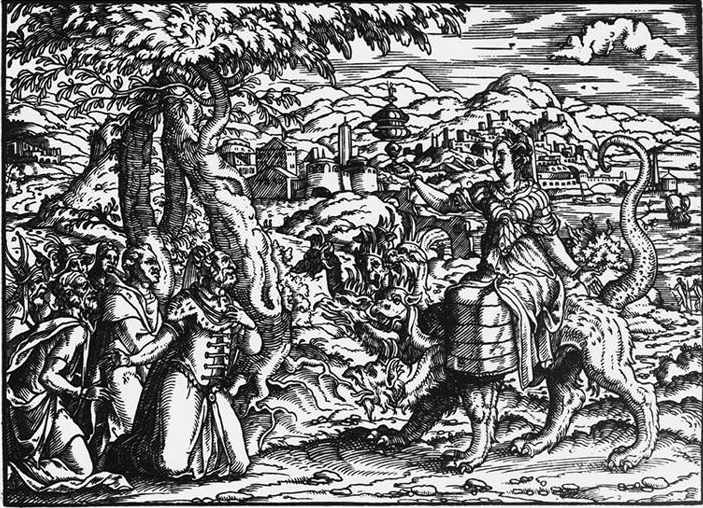 How women are treated in the Bible, is referred to through The Whore of Babylon. The violence and humility of women throughout the Bible is greatly present in Revelation. Jost Amman, The Whore of Babylon (Rev. 17), woodcut, 110 x 152 mm, London (BL).